At the top of Black Mountain, the highest point in Kentucky, Highway 160 crosses into Virginia and winds between Looney Ridge and Ison Rock Ridge. 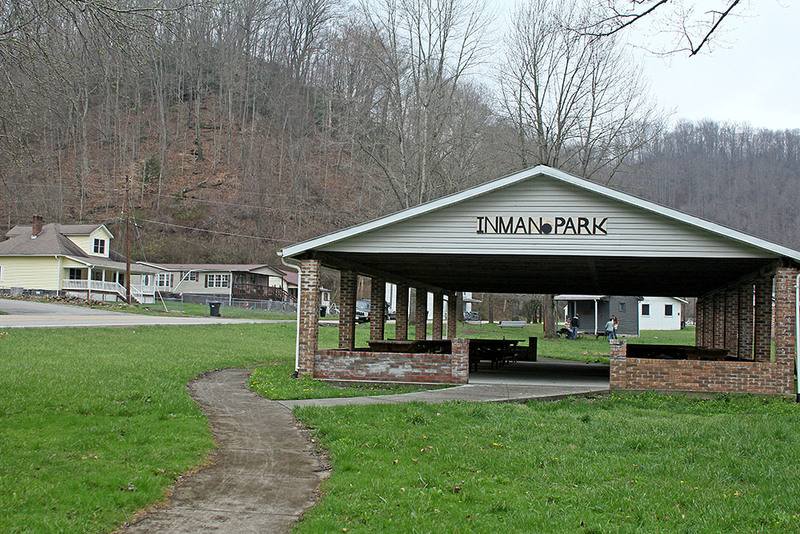 When it reaches a narrow valley, the road follows Looney Creek through the quiet mountain community of Inman, Va.
Inman consists of a tidy park, a well-kept Baptist chapel, several brick public housing apartments, and a collection of about 50 modest homes. A forested slope rises steeply on each side of the narrow valley. Yet behind this “beauty strip” sprawls a 3,000-acre mountaintop removal coal mine that runs the length of Inman and beyond, carving the top off of Black Mountain. 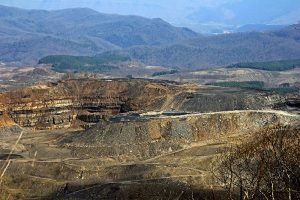 “Strip mining was controversial in the ‘70s here, but it was in no way as destructive as taking the entire top off of mountains,” says Ben Hooper, president of the community organization Southern Appalachian Mountain Stewards. He was born in an Inman coal camp house — the community was owned by a coal company until 1976. When he was a child, Looney Creek was still full of fish. Kids would gather minnows to sell as bait to the coal miners traveling to and from the mines. But there are no fish now, and the creek is on the federal list of impaired waterways. 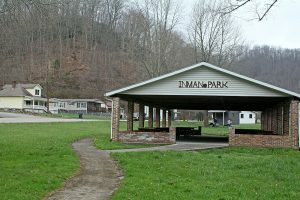 The onset of mountaintop removal mining on Looney Ridge in the early 2000s changed life in Inman. Blasting damaged homes and shook pictures off the walls, and toxic dust from the mining operations coated cars and buildings. And then, on an August night in 2004, mine operators widening an access road without a permit dislodged a half-ton boulder that crashed 649 feet down the mountainside and into the home of three-year-old Jeremy Davidson, killing him in his sleep before stopping at the base of his brother’s bed. 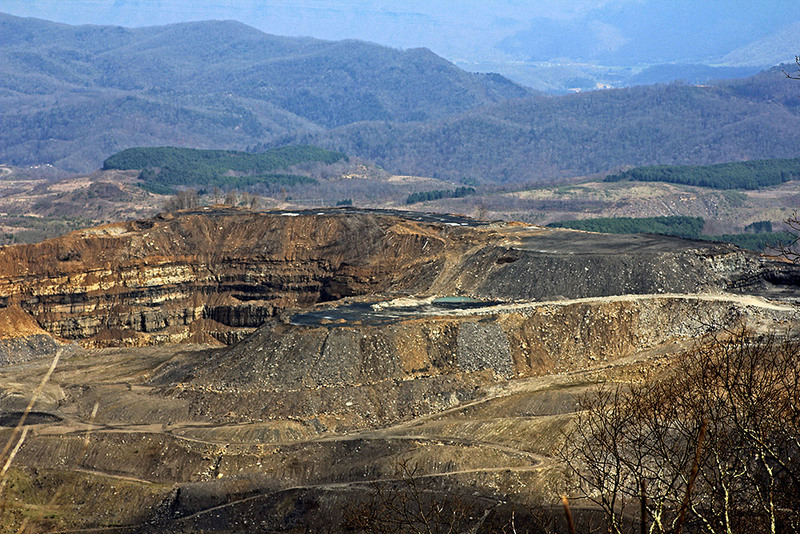 The tragedy rallied opponents of mountaintop removal, and spurred the formation of Southern Appalachian Mountain Stewards, based in the nearby town of Appalachia, Va. In 2007, A&G Coal Corp., which owns the Looney Ridge operation, applied for a permit to mine 1,230 acres on Ison Rock Ridge, located on the other side of Inman. 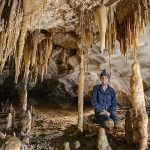 The mine would come as close as 100 yards from the backyards of many Inman residents, and perilously close to four other communities. 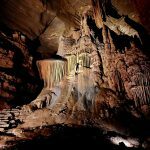 Southern Appalachian Mountain Stewards led opposition to the permit, and for eight years community members spoke out against the proposal. 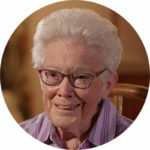 SAMS member Judy Needham lives on the other side of Ison Rock Ridge from Inman, in Andover, a place she describes as “a community where families congregate together.” She and her husband have cousins, siblings, grandchildren and great-grandchildren in the surrounding towns. Her great-grandchildren live in the town of Appalachia, at the foot of Ison Rock Ridge. 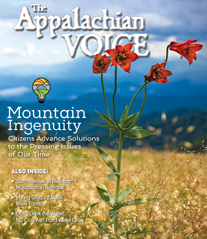 “If [mountaintop removal] continues, they will never know of the mountains,” she says. For years, Needham participated in community meetings and events opposing the permit. 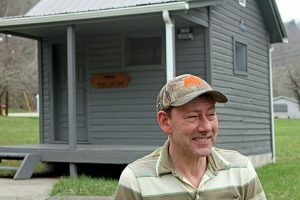 She recalls driving around the area to notify residents of an upcoming rally at the Virginia Department of Environmental Quality office, and the successful effort to bring the area’s congressman, Rep. Morgan Griffith, R-Va., to Wise County to show him the proximity of the proposed mine to surrounding communities. Local activists, with the support of allies from around the region, also visited congressional representatives and federal agencies in Washington, D.C., to talk about their experience with mountaintop removal — the blasting, the dust, the lost landscapes — and voice their opposition to the Ison Rock permit. 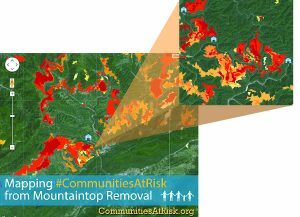 A new interactive map shows that, even as Appalachian coal production declines, mountaintop removal coal mining is encroaching on many communities in the region. She notes that while some area residents are unwilling to speak out against mountaintop removal publicly because they have relatives whose livelihoods are linked to coal, she has received many private words of thanks for her activism. Nobody has ever disturbed the “Save Ison Rock Ridge” sign that has hung on her fence for years, she says with community pride evident in her voice. The state initially approved the Ison Rock permit in 2010, but A&G Coal ran into trouble for water quality violations and bond issues at some of their existing mine operations, including Looney Ridge, that needed to be resolved before the state would let the Ison Rock Ridge permit move forward. 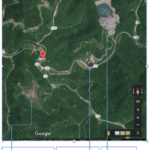 According to Matt Hepler, an Inman resident who works with SAMS, water quality concerns and poor reclamation of mined lands are commonplace at operations owned by Jim Justice, the West Virginia Democratic gubernatorial candidate who owns Southern Coal, the parent company of A&G Coal. 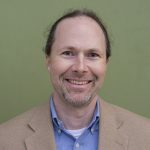 “In the past two years [Justice] has amassed countless violations in every single state … West Virginia, Kentucky, Tennessee and Virginia,” Hepler says. In 2014, three Justice-owned companies in Tennessee received 39 federal cessation orders for various environmental and road maintenance violations, and a 2014 investigation by NPR and Mine and Safety Health News found that Justice owed more than $2 million in unpaid safety fines. 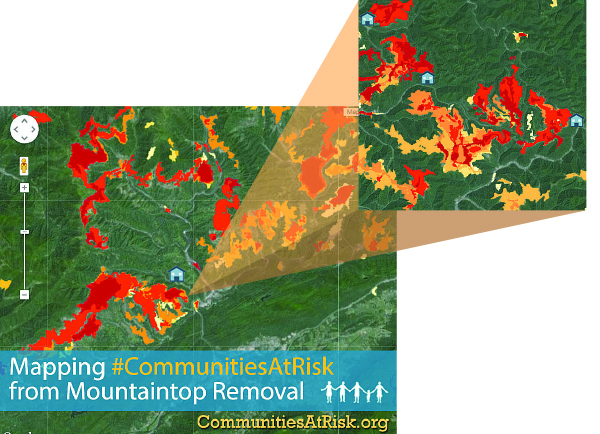 View the interactive map of other communities at risk from mountaintop removal here. 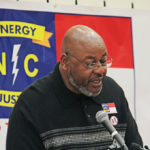 In Inman and nearby communities, Justice’s poor track record has contributed to the pollution in Looney Creek, and has residents such as Hepler questioning whether the company will properly reclaim Looney Ridge. But that same poor record also helped halt the threat of mining on Ison Rock Ridge. In 2013, the state of Virginia denied the permit for Ison Rock after A&G Coal failed to address their outstanding issues. Due in part to pressure from local citizens and from the U.S Environmental Protection Agency, the state made a final decision to deny the permit in March 2015. 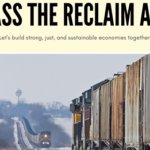 A&G Coal exhausted its appeal options in April 2015. Yet if demand for coal rises, coal companies could apply for new mining permits on Ison Rock Ridge.